Seeded by the Santa Cruz Women’s Health Center, SCCHC is driven by its originator’s 40-year commitment to social justice and access to health care as human right. Its mission remains constant: to provide quality health services and advocate the feminist goals of social, political, and economic equality. SCCHC’s health centers deliver high-quality care through compassionate, dedicated medical providers, health educators, and administrative staff. SCCHC’s clinics offer primary care, pediatrics, integrated behavioral health, prenatal care and education, chronic disease management, health insurance enrollment, and more. Since 1974, the Santa Cruz Women’s Health Center (SCWHC) has played a key role in the local health care safety net. 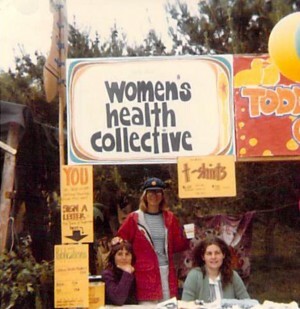 What started as a women’s health collective founded by a group of UCSC students has – over four decades – evolved to keep pace with the rapidly changing health care landscape, expanding in size and scope each year to meet growing community needs. At the same time, our clinic has developed a reputation for demonstrably high quality care with top quartile results in diabetes care, cervical cancer screenings, preventable emergency department visits, and other measures. Under the Affordable Care Act (ACA), the landmark federal legislation that launched in January 2014, millions of Americans — including tens of thousands of Santa Cruz County residents — gained health insurance either through MediCaid expansion or the new Health Benefits Exchanges. The ACA offers new opportunities to see more patients, in better ways, than ever before. 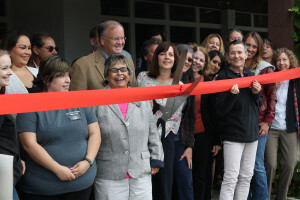 In response to the ACA, the Santa Cruz Women’s Health Center extended its model of high quality, comprehensive primary care and behavioral health services to a new, 9,000-square-foot state-of-the-art clinic in Live Oak, serving men, women and children. In May 2014 we celebrated the opening of our East Cliff Family Health Center. Ultimately, the organization will serve 10,000 patients between its two sites. The newly established corporate entity, “Santa Cruz Community Health Centers”, oversees both clinics and is a federally qualified health center. Santa Cruz Community Health Centers is a private nonprofit organization with a community Board of Directors funded by service reimbursement; donations; local, state and federal government funding; foundations, and corporate and individual donors. Donations are tax deductible and ensure that we can serve all patients, regardless of their ability to pay. To donate, click here. In 2012, SCCHC received federal funding and unprecedented support from Dominican Hospital and its parent organization, Dignity Health, as well as Sutter Santa Cruz/Palo Alto Medical Foundation (Sutter/PAMF), to launch the East Cliff Family Health Center. Dominican and Sutter/PAMF are each investing $1.5 million in the SCWHC’s Live Oak operations between 2014 and 2019. Dignity Health, Dominican’s parent company, provided a loan of $2.5 million for tenant improvements to the 9,000 square foot leased space at the East Cliff Village Shopping Center. In addition, Dominican’s highly regarded Pediatric Clinic, serving 1,600 low-income children, many of whom are high-risk patients, have transitioned to the new clinic where SCCHC is committed to growing the program. Read more about these initiatives in our Newsroom.